More rumors regarding the upcoming Nvidia Volta GPU architecture have emerged, well before the official unveiling expected at GPU Technology Conference in May. The latest AIDA64 update has revealed that the new Nvidia GPU will be the GV100 as part of the Volta GPU architecture featuring HBM2 technology. Developers found a PCI device ID in the update belonging to 1D81 = Graphics Device [GV100] even though the actual announcement and launch of the Volta lineup is still a while off. 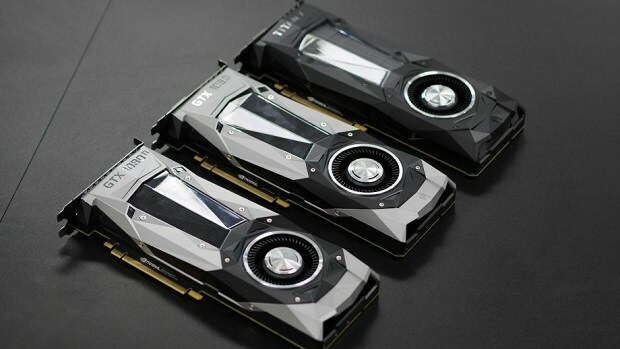 According to information from the update, the GV100 will most likely power the Volta-based Titan X GPU and will be the “full fat” Volta GPU and top of the lineup. It was originally thought that the next Nvidia lineup, GTX 2000 series will be based on the Volta architecture but some recent rumors suggest that the 2000 series will in fact be refreshed Pascals while the 3000 series will feature Volta. One of the GPUs of the Nvidia Volta GPU series, reportedly GTX 3080, is rumored to feature HBM2 memory instead of GDDR6 and will be built on a custom 12nm process from TSMC. Despite the rumors of 2000 series being Pascal refresh, it is still expected that the Nvidia Volta GPU lineup will launch in 2017, even if it’s just the flagship GPUs like 3080 or Titan-X (GV100). As to why Nvidia is going for a refresh when AMD’s Vega lineup clearly poses such a huge threat, it is possible that the success of Pascal has Nvidia reprioritizing on improving its manufacturing instead of just pumping out new lineups without a major performance boost. Given the amount of resources spent on the development of Pascal, Nvidia might not be ready just yet to sort of abandon the series and completely shift its focus to a new one. Not until they have received their money’s worth from the series. Graphics Cards Prices Are Down Again But Should You Buy Now Or Wait Further?